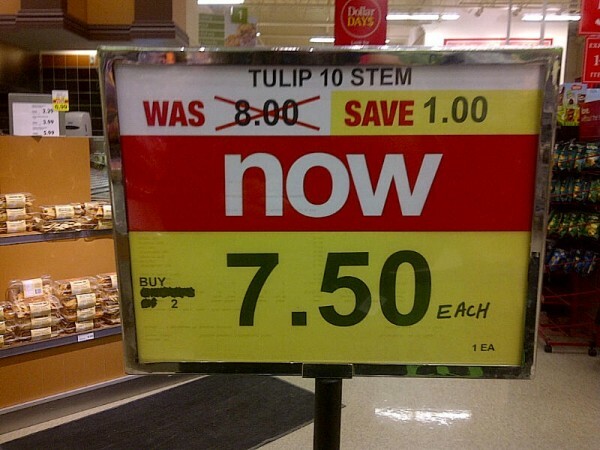 Saw this in my local Valu-Mart, what a deal! Um, technically true. If you buy two, you will save $1 total. Though, it is sneaky to put the buy 2 in smaller type. It’s a “Valu-Mart,” they always do sneaky stuff like this.